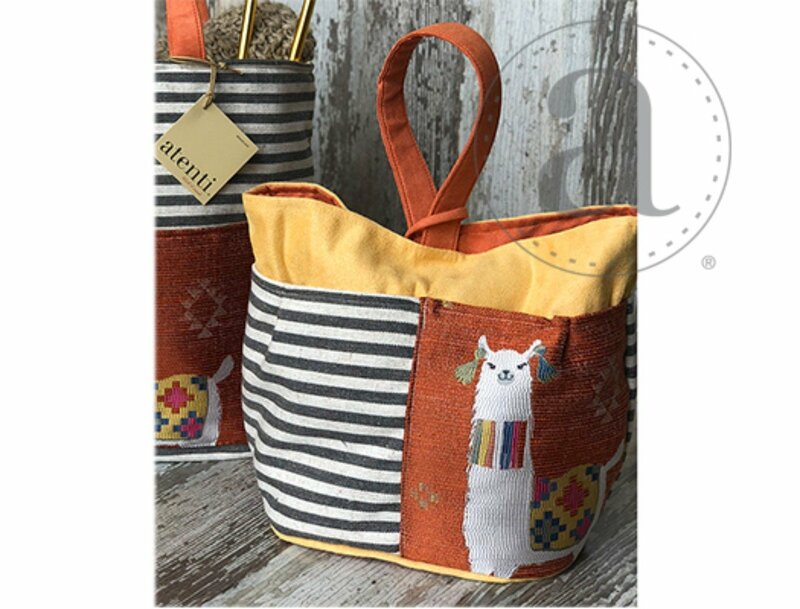 The Atenti Mamallama Orange Tall Caddy - Fun and trendy llamas woven into a jacquard. This taller version of our best selling Caddy is a stand-alone, carry around organizer and is perfect to store and keep all your tools and notions handy. It’s fully lined and has four outside and four inside pockets with an ample center well. Thread the ultra suede handle through the closure loop to secure and as a carrying option.